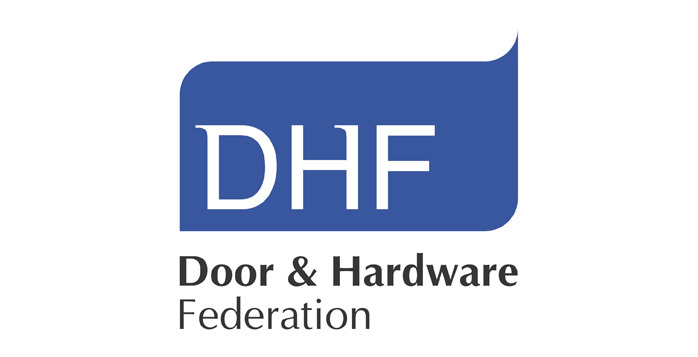 We are proud members of the door and hardware federation. They are a close as we have to a governing body in the door industry. The DHF are always striving to increase quality and drive out the “cowboys” in our industry, something that all reputable companies endorse. They are impartial and are happy to help you if required. This CODE OF CONDUCT represents a binding commitment on the part of each DHF member engaged in the manufacture, installation, distribution, maintenance and repair of doors, building hardware and their components to achieve a high standard of quality, safety and reliability. The member shall not enter into contracts without being able to comply with the technical and programme requirements, having access to sufficient resources and adequate documentation to fulfil all contract criteria. All goods, materials and workmanship shall comply with relevant statutory requirements. The member shall consistently check all of its own work and remedy all defects and shall ensure that all finished work is of a good standard. The member undertakes to follow up and resolve all customers’ complaints, of whatever nature, promptly and courteously. All products sold by the member shall have been thoroughly tested and manufactured according to the published specification. All products will meet statutory requirements and shall carry a minimum twelve months warranty. The member shall have a fully documented quality management system, hold regular reviews and audits of its system and undertake corrective actions to remedy non conformities. This may take the form of BS EN ISO 9001 : 2008 quality assurance certification or manufacturer’s own factory production control to an acceptable level relating to the business concerned. The member shall have documented training records and shall take active steps to ensure that all operatives, supervisors, office staff and managers receive proper and continuing training to ensure that all personnel have the necessary skills to perform their allotted tasks to the required standards. The member shall take all reasonably practicable steps to ensure the welfare and stability of employment of all its employees and shall fulfil all of its legal and other duties as an employer. The member shall not discriminate unlawfully or improperly in respect of employment. The member shall observe a high standard of business integrity in all aspects of its business dealings. The members shall represent its product and services in an accurate and honest manner and shall not mislead its customers or suppliers in respect of its dealings with that company or any other party. The member shall accept fair and reasonable terms and conditions in contracts with customers, suppliers or sub-contractors and shall not exercise unlawful or improper leverage or incentive in the negotiation of such contracts. The member shall maintain a minimum of £2 million public liability and product liability insurance. Where relevant, the member is required to be in possession of the relevant sub-contractors tax certificate. All full members shall comply, as a condition of membership, with the minimum technical standards published from time to time by DHF. Other technical documentation published by DHF is, unless otherwise stated, advisory in nature. In the event that any member fails to comply with the code of conduct, the member shall receive a warning, together with appropriate advice on compliance with the code of conduct and, in the event of further failure to comply with the code of conduct, the member may be suspended or expelled from DHF by decision of the Executive Committee. In the event of any complaint arising out of an alleged breach of this code of conduct by a member of the DHF, formal written notice of the complaint should be sent to the Secretariat of the DHF who will arrange for the matter to be investigated factually and brought to the attention of the Executive Committee for consideration and appropriate action.